Island of the Sun recounts the American psychologist Alberto Villoldo's return to Peru in search of the Quechua Indian shaman Don Jicaram. 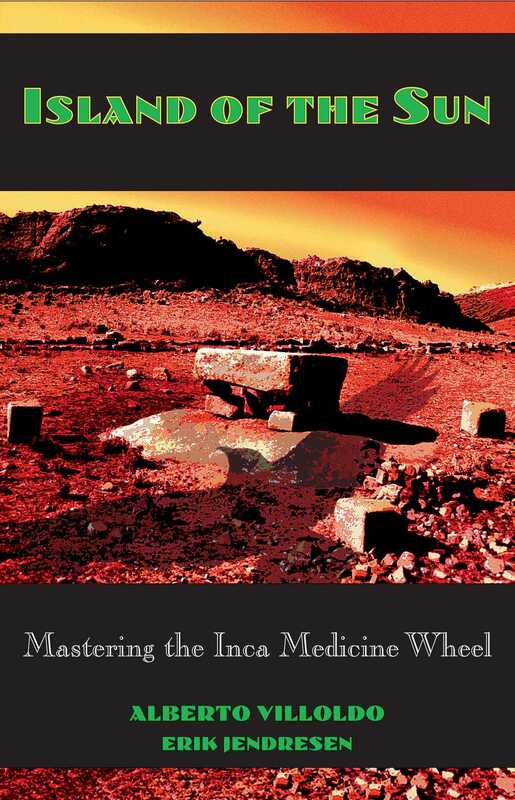 The authors' earlier book, Dance of the Four Winds, described Villoldo's first initiation, under Don Jicaram, into the secrets of the Inca Medicine Wheel and the spiritual journey of the Four Winds. Villoldo had begun that journey in the South, “where one goes to confront and shed the past.” With use of the powerful mind-altering plant ayahuasca, he had continued to the West, a direction also inhabited by fear and death. Now in Island of the Sun he prepares himself for the journey to the North, where lies the wisdom of the ancient Inca shamans. Traveling from Machu Picchu to the “Island of the Sun,” a sacred site in Bolivia, Villoldo uncovers a profound secret about the journey to the East--the journey home. Villoldo was born in Cuba, where he was exposed to Afro-Indian healing traditions at an early age. While pursuing his doctoral studies in psychology and medical anthoropology, he traveled throughout the South West, the Amazon, and the Andes researching Native America healing methods. He later directed the Biological Self-Regualtion Labortory at San Francisco State University, where he investigated mind-body medicine and the neuro-physiology of healing. He founded and directs the Energy Medicine School at The Four Winds Society, and teaches energy medicine to thousands of nurses, physicians, psychotherapists and lay persons every year. He is an internationally recognized leader in the field of alternative medicine and shamanic studies. Erik Jendresen is a playwright and screenwriter. "A moving testament to interior ways of knowing." "A narrative rich in myth, history, and metaphor." "Profound and personal, cosmic and compassionate. . . . Memoir, Andean adventure, and quest for wisdom, the book is an even deeper, wiser, more moving tour of the extraordinary, with Villoldo a refreshing guide, frank amd engaging."